Look at Fabrizio, isn’t he a handsome young man? We first met Fabrizio when he was about 15 years old. Since then, we’ve had the privilege of watching Francesco raise Fabrizio to be the remarkable farmer he is today, just like his papà! Francesco and Fabrizio are a dynamite father and son team committed to Italy and the traditions of their land and people. Together they cultivate Corbarino Tomatoes in the fields surrounding their home in Paestum. Corbarino is a very rare and flavorful variety of cherry tomato. In fact, it is one of only three tomato varieties allowed by the Associazione Vera Pizza Napoletana on authentic Neapolitan pizza. That’s right, if it’s not made with real San Marzano, Piennolo, or Corbarino tomatoes it’s not true Neapolitan! 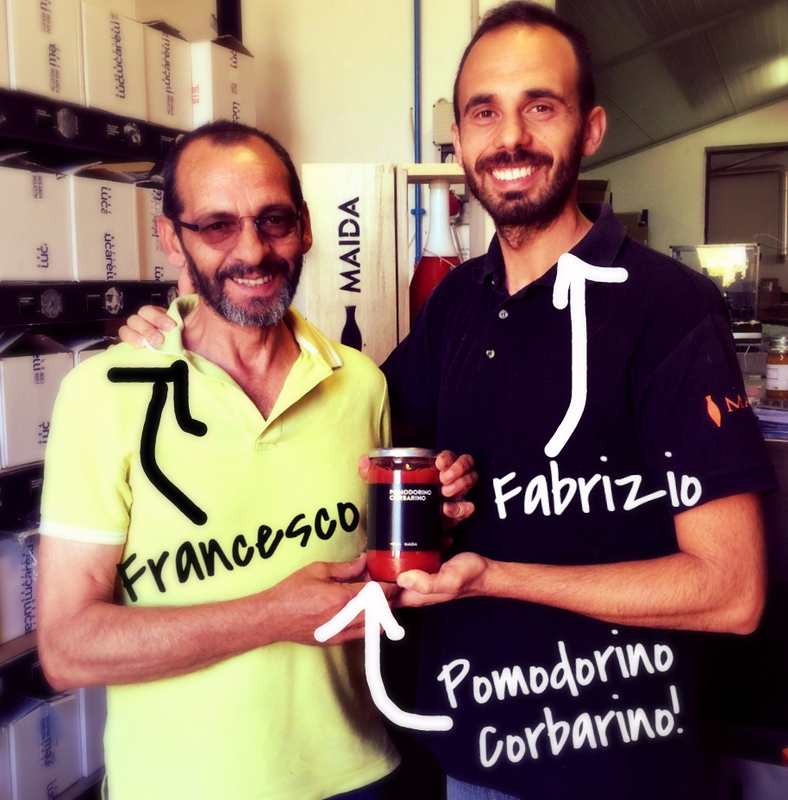 When it comes to pasta, Francesco and Fabrizio tell us that they use Corbarino tomatoes for everything! They especially love them with seafood pasta dishes. Clams and Corbarino are their favorite!